As the twenty-one month long siege of Gaza becomes a death sentence for yet more civilians, a group in the UK with experience of the Occupied Territories is urging the Committee on Standards in Public Life to examine whether there is undue Israeli influence at the heart of British government. The political director of Conservative Friends of Israel claims that with over 2,000 members and registered supporters alongside 80 percent of the Conservative MPs, CFI has become the largest affiliated group in the party. The blockade stops vital medical supplies going in and prevents chronically sick patients (including children) transferring to proper hospital treatment outside Gaza. Israel’s deep penetration of our political system, says the group, is preventing Britain from taking a principled stand on Middle East matters, including the long catalogue of grotesque violations of Palestinian human rights, of which the Gaza siege is only the latest example. Conservative Friends of Israel, for example, claim the support of 80 percent of Tory MPs. Signatories to the letter include Mona Baker, Karl Sabbagh, Derek Summerfield and Felicity Arbuthnot. The lobby group, Friends of Israel, has embedded itself in the British political establishment and at the very heart of government. Its stated purpose is to promote Israel's interests in our Parliament and sway British policy. MPs are surely not at liberty to act in the interest of a foreign military power at the expense of our own national interests.. He says: "It is insufficient that humans should weep beneath the crucifixion of the Palestine people in 2007 AD. They must halt it forthwith." Businessman Stuart Littlewood, who was in Gaza last month, remarked: "When you urge the British government to act for justice you are blocked at every turn by Friends of Israel in high places. No-one, it seems, is prepared to break the siege and land humanitarian supplies on Gaza's beach. What happened to our Christmas spirit?" Felicity Arbuthnot campaigned for many years in Iraq. She says: "The horrors inflicted on Gaza and Iraq and threatened elsewhere in the Middle East are encapsulated for me by a young doctor. She had the skills but was denied the facilities and medications so she watched helplessly as her young patients died. 'There is a hole where my heart should be,' she said. In the name of our common humanity, as Eid, the Jewish Festival of Light and Christmas are celebrated, ENOUGH!" Those signing this letter know the Occupied Territories and in particular Gaza, and are deeply concerned about the appalling conditions forced on the civilian population by the Israeli blockade and sanctions imposed by Britain and the EU. This Christmas innocent Gazans are starving. Critically ill cancer and renal failure patients die an agonising death, unable to receive treatment because Israel blocks vital drugs and other medical supplies, including dialysis machine spares, and prevents the sick crossing the border for proper hospital care. New-born babies and those just months old are dying too, denied treatment. The United Nations Declaration of the Right of the Child lies buried under the sands of Gaza. Israel has even imposed a fishing ban on the 3000 licensed fishermen, robbing them of their livelihood and the population of a proper diet. Boats ignoring the ban are fired on. Are those not Palestinian territorial waters? Have Palestinians no rights under the UN Law of the Sea Conventions? The Gaza siege is the latest in a very long catalogue of Israeli violations of Palestinian rights. It has been allowed to develop into a full-blown humanitarian crisis and Britain, to its shame, has a hand in it. Furthermore it is a racist outrage that Christians and Muslims are together made to suffer so horribly at the hands of the Israeli state. A letter was delivered through Henry Bellingham MP to the Foreign Office minister responsible for the Middle East, Kim Howells, suggesting (as many others have done before, including charities such as War on Want) that Britain consider suspending the EU-Israel Association Agreement. The rules provide for this if Israel’s conduct towards its neighbours falls short of what is required under the UN Charter and other obligations. Mr Howells is a former chairman of Labour Friends of Israel. His shadow is a member of Conservative Friends of Israel. The minister has subsequently been asked to explain what "viewpoint" Her Majesty’s Government has put to the Israeli government regarding the medieval-style siege of Gaza and the collective punishment of already impoverished civilians in flagrant breach of the UN Charter and every conceivable code of conduct. What action have he and his Department taken to alleviate the suffering in this former British mandate? What is the status of the coastal waters off Gaza? How can Israel maintain a sea blockade lawfully and deny Gazan fishermen their livelihood? How does continuing the Association Agreement in these cruel circumstances "enhance co-operation", and what "concerns" have been raised with the Israeli government? No answers to these questions have yet been received. In the meantime your Committee is aware how the lobby group, Friends of Israel, has embedded itself in the British political establishment and at the very heart of government. Its stated purpose is to promote Israel's interests in our Parliament and sway British policy. The Friends of Israel organisation goes to great lengths to influence those in power. Indeed a good many, it seems, reach positions of power with FoI help. The political director of Conservative Friends of Israel claims that with over 2,000 members and registered supporters alongside 80 percent of the Conservative MPs, CFI has become the largest affiliated group in the party. Its website states that the CFI "strives to support the Conservative Party at all available opportunities. In the run up to the 2005 General Election… CFI supported candidates up and down the country. As candidates are now being continuously selected for target seats, CFI has developed a special programme of weekly briefings, events with speakers and a chance to participate in delegations to Israel. CFI encourages all members to help campaign for parliamentary candidates and also for local council, London and European elections." It also has a ‘Fast Track’ group for Conservative parliamentary candidates fighting target marginal seats at the next election. The political director himself is seeking election to Parliament. If successful where will his loyalty lie? Senior Conservatives try to justify these activities by insisting that Israel is "a force for good in the world" and "in the battle for the values that we stand for, for democracy against theocracy, for democratic liberal values against repression - Israel's enemies are our enemies and this is a battle in which we all stand together". Such claims do not bear examination. Israel is no western-style democracy. It is an ethnocracy with racist policies and an apartheid agenda. It is a cruel oppressor, stands in breach of numerous UN resolutions, ignores International Court of Justice rulings and continues an illegal occupation, abusing its neighbours and stealing their lands and resources. It cares little for world opinion. How could anyone or. She had the skills but was denied the facilities and medications so she watched helplessly as her young patients died.f fair mind and knowing the situation on the ground possibly support such a regime in the name of the British people, unless unduly under its influence? Friends of Israel campaign loudly against Palestinian ‘terrorism’ without mentioning that since the start of the second Intifada in September 2000 Israelis have been slaughtering Palestinians at the rate of 4 to 1, and when it comes to children it is nearer 10 to 1 (Israeli B’Tselem figures). They never mention the ‘Matrix of Control’ and the perverse administrative procedures imposed by the Israelis in order to restrict travel, strangle the economy, bulldoze homes, confiscate lands and press ahead with their programme of ethnic displacement. Friends of Israel repeatedly campaign for the release of a handful of Israeli soldiers like Gilad Shalit, corporal tank gunner, but ignore the 9,000+ Palestinian civilians abducted from their homes and incarcerated, often without trial, including some 300 women and 150 children. Many have been tortured, like Luwaii Ashqar whose lower lumbar spine was probably broken during 4 days of vicious, non-stop torment – see http://www.haaretz.com:80/hasen/spages/871239.htm and prepare to be sickened. What is the basis for Britain’s decision to outlaw elected leaders (Hamas) who rightly refuse the illegal demands of an armed occupier (Israel)? And why has there been no outcry in Britain against the unlawful and inhuman siege of Gaza? Courted, cosseted and lied to by the Israeli state, Friends of Israel present a distorted picture to their Parliamentary colleagues and the British public. Such people cannot be relied on to make balanced policy decisions concerning the Middle East. When speaking on such matters they should at least be required to declare their interest. It is especially disconcerting to discover that at least two members of your Committee, which is pledged to uphold the Principles of Public Life, are Friends of Israel - namely Baroness Shephard, president of Conservative Friends of Israel and Alun Michael MP, a member of Labour Friends of Israel. Your website suggests that Baroness Shephard relinquished her pro-Israel position in 2005 but the CFI website contradicts this. The danger of inappropriate 'friendships' with foreign regimes became even more evident last week when Tzipi Livni, Israel's foreign minister, was reported to have twice asked David Miliband, our Foreign Secretary, to scrap the law that authorises magistrates to issue arrest warrants for suspected war criminals who set foot in the UK. Avi Dichter, a former director of the Shin Bet spy service and involved in the Shehadeh assassination in 2002, in which 14 Palestianian civilians (including children) were killed by an Israeli air strike, had to cancel a trip to London for fear of being arrested. Doron Almog, an Israeli ex-general also involved in the Shehadeh affair, narrowly avoided arrest when he landed at Heathrow in 2005. Now Israel wishes the UK to change its laws to protect alleged war criminals. How can we be sure this will not happen in the name of “enhanced co-operation”, as Mr Howells puts it. Given that Israel’s deep penetration of our political system apparently prevents Britain from taking a principled stand on Middle East matters, including the violations of Palestinian human rights, we invite your Committee – minus those with an interest – to uphold the Principles of Public Life and consider the activities of the Friends of Israel as a matter for urgent investigation. Medical Director, Royal Marsden Hospital, London 1994-2000. Essential information for the Committee…. In what appears to be a fresh challenge to Israel’s UK supporters, a group of boycott campaigners has called on a Parliamentary committee to investigate the so-called “Israel lobby” which it claims has a powerful influence on the Government’s Middle East policy. Their letter, to Charles Ramsden, the secretary of the Committee on Standards in Public Life, accuses British MPs of “eating out of the Israeli government’s hand” and claims “friends of Israel” have embedded themselves “in the British political establishment and at the very heart of government” to sway British policy. It focuses on the Conservative Friends of Israel, questioning the loyalty to Britain of its director, Stuart Polak, if he were to become an MP, and points out that Middle East Minister Kim Howells is a former chair of Labour Friends of Israel. Among the 11 signatories are wellknown pro-boycott figures still smarting from the defeat of attempts last year to impose an embargo on Israeli institutions. 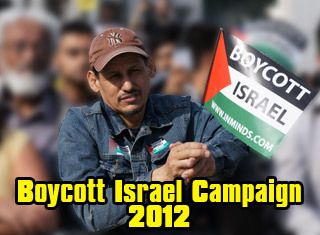 They include Mona Baker, the University of Manchester professor who fired two Israeli academics from the board of her journals because of their nationality; Derek Summerfield, who founded a group calling for a boycott of the Israeli Medical Association; and David Seddon, a board member of Bricup, the British Committee for Universities of Palestine. Pro-Israeli sources said the call for an investigation was a “desperate attempt” to generate publicity for a revival of the boycott movement. Lorna Fitzsimons, chief executive of the Britain Israel Communications and Research Centre, said that the letter “plays into the hands of the old stereotypes and should be seen as such”. Communal bodies, including the Board of Deputies and the Jewish Leadership Council, condemned the accusations in the letter as a “desperate attempt” to keep the boycott issue alive. Academic David Hirsh, editor of the anti-boycott website Engage, said he might use the letter “when I teach a workshop on contemporary antisemitism”. MPs condemned the attempt to bring the “Israel lobby” before the committee. 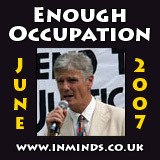 James Arbuthnot, parliamentary chairman of CFI, said: “We present the case for Israel but we also inform people about the good and the bad sides of the conflict [with the Palestinians].” He said there was no evidence that any Conservative had been put into a powerful position with CFI’s help.